NEW BOOK FROM MOHR SIEBECK: Journeys in the Roman East: Imagined and Real Ed. by Maren R. Niehoff. [Reisen im Osten des Römischen Reichs: Fiktiv und Real.] 2017. XI, 440 pages. Culture, Religion, and Politics in the Greco-Roman World 1. 59,00 €. cloth. ISBN 978-3-16-155111-6. In the Roman Empire, travelling was something of a central feature, facilitating commerce, pilgrimage, study abroad, tourism, and ethnographic explorations. The present volume investigates for the first time intellectual aspects of this phenomenon by giving equal attention to pagan, Jewish, and Christian perspectives. A team of experts from different fields argues that journeys helped construct cultural identities and negotiate between the local and the particular on the one hand, and wider imperial discourses on the other. A special point of interest is the question of how Rome engages the attention of intellectuals from the Greek East and offers new opportunities of self-fashioning. Pagans, Jews, and Christians shared similar experiences and constructed comparable identities in dialogue, sometimes polemics, with each other. The collection addresses the following themes: real and imagined geography, reconstructing encounters in distant places, between the bodily and the holy, Jesus' travels from different perspectives, and destination Rome. The articles in each section are arranged in chronological order, ranging from early imperial texts to rabbinic and patristic literature. 'TIS THE SEASON: Away in a Manger (feeding trough!) (Carl Rasmussen, The Holy Land Photos' Blog). Kind of cool, even though we are now told that Jesus wasn't born in a stable. This companion provides the ideal resource for those seriously engaging with the Dead Sea Scrolls. In 30 concise articles all of the key texts and documents are examined. A section on the complex methods used in anaylzing the scrolls then follows before the focus moves to consideration of the scrolls in their various contexts; political, religious, cultural, economic, historical. 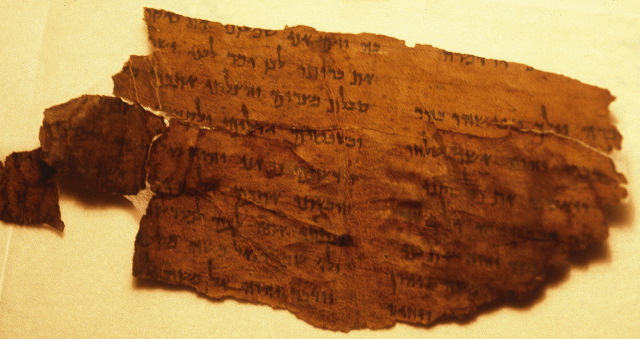 The genres ascribed to groups of texts within the scrolls are examined in the next section with due attention given to both past and present scholarship. The main body of the companion then concludes with crucial issues and topics discussed by leading scholars. The book finishes with appendices and indexes giving: timelines, lists of kings, family trees of the Seleucids, Ptolemies, Hasmoneans, lists of places and scrolls, information on electronic resources and classified bibliographies. The volume is illustrated throughout with some 60 images enabling readers to consider key texts from the scrolls not only in transcription but simultaneously with photographs. PHILOLOGOS: Judah the Maccabee, Judah the Mace-Man. A modest suggestion for a new way of thinking about the original meaning of the word “Maccabee” (Mosaic Magazine). The derivation of makkabi from makevet or makava certainly makes better sense than any of the contending explanations. What I would take issue with is the assertion made by First and others before him that since a hammer “is not a military weapon,” Judah Maccabee must have been likened to one because of his physical appearance, or else because of his physical power or strength of character. I agree with Philologos that this is not really a problem. Philologos's solution, that "Maccabee" refers to a hammer in the sense of a mace — hence a military weapon — is possible. But I don't think it is necessary. Not for the first time I've seen, this problem arises only because scholars sometimes seem incapable of thinking like regular people or imagining language being used the way regular people use it. If you meet someone whose nickname is "The Hammer," you don't think "A hammer is not technically a weapon, so maybe this is about the shape of his head." You think, "I don't want to mess with this guy." It's just a vivid metaphor, something quite common in nicknames. Think, for example, of "The Rock." A rock is not technically a weapon either, but someone with that nickname is probably a good wrestler. "The Hammer" makes perfectly good sense as a nickname for Judah, who hammered his enemies on the battlefield. UPDATE (8 December): Perhaps I should have included a link for "The Rock" above. Readers have also written to draw my attention to Thor's hammer and to an early medieval comparison of Charles Martel to a hammer, because he broke his enemies and foreigners in battle. A WELL-DESERVED HONOR FOR A SENIOR LEADER IN THE FIELD: Scholars Pay Tribute to Bernstein in New Festschrift. Volume Published in Dr. Moshe Bernstein’s Honor Explores Jewish Scriptural Interpretation (YU News). At the annual meeting of the Society of Biblical Literature in November in Boston, MA, Dr. Moshe Bernstein ’62YUHS, ’66YC, ’69R, ’69BR , The David A. and Fannie M. Denenberg Chair in Biblical Studies, was presented with a Festschrift titled HĀ-‘ÎSH MŌSHE: Studies in Scriptural Interpretation in the Dead Sea Scrolls and Related Literature in Honor of Moshe J. Bernstein (Brill). The book, featuring 19 essays related to his work in biblical interpretation in antiquity (a bibliography of which runs eight single-spaced pages), was edited by Binyamin Goldstein (currently a PhD student at Bernard Revel Graduate School of Jewish Studies), Michael Segal ’93YC, Father Takeji Otsuki, professor of Bible at the Hebrew University of Jerusalem; and Dr. George Brooke, Rylands Professor of Biblical Criticism and Exegesis Emeritus at the University of Manchester. THE ASOR BLOG: Child Sacrifice in Ancient Israel (Heath D. Dewrell). Cross-file under Punic Watch. Some related posts on this ghastly topic are here and links. DR. ALISON L. JOSEPH: Who Is the Victim in the Dinah Story? (TheTorah.com). We can not imagine anyone but Dinah as the victim, but does the Torah? Do the Rabbis? Understanding the story of Dinah and its reception in historical context can help us reflect on the role of women in ancient Israel and the meaning of sexual violence in a patriarchal society. The intuition of established scholars often holds them back from appreciating revolutionary advances in the understanding of how the biblical texts evolved and how to view their language in that context. Kuhn’s theory of paradigm shifts helps elucidate what is currently going on in our field. We use Richard Friedman’s new book on the exodus as an example of the old paradigm and juxtapose it with the emerging paradigm that is founded on more robust data collection and analysis. I think that if comparative philology could establish a decisive diachronic typology of Biblical Hebrew with anchored absolute dates, it would have by now. The discussion would basically be over and we would just be mopping up the details. But the situation seems to be more complicated. That is perhaps not surprising, given the complicated (and still poorly understood) history of the transmission of the Hebrew Bible. That said, I find appeals to Kuhn's model of paradigm shift almost always to be unpersuasive. Everyone just imagines that they are part of the new paradigm and their opponents are stuck in the old one. Then the confirmation bias of both sides makes them see only the evidence that their paradigm is the shift. The Wide-Ranging 2017 Biblical Studies Carnival and SBL Annual Meeting Edition (Jim West). POLITICS: ARCHEOLOGY IN ISRAEL AS A POLITICAL WEAPON. Emek Shaveh’s Mizrachi: When you control the past, you control the present and the future (Daniel K. Eisenbud, Jerusalem Post). The battle between right- and left-wing ideologues is evident at archeological sites in east Jerusalem and the West Bank, where discoveries are routinely exhibited to the world as evidence of Israeli sovereignty in the Jewish homeland or as an occupier. The two main opponents in the ongoing war over rightful sovereignty between Jews and Palestinians are the left-wing archeological political activist NGO Emek Shaveh, and its right-wing counterpart, the City of David Foundation (also known as Elad). The former is primarily funded by European countries with a decidedly “anti-occupation” stance, while the latter deems the term “occupation” an incendiary insult to a people with thousands of years of history in Jerusalem. This protracted war came to a fevered pitch in May, when UNESCO approved a resolution rejecting Jewish ties to Jerusalem – including its holiest site, the Temple Mount – prompting claims of flagrant antisemitism against the international body. Last week, the heads of Emek Shaveh and the City of David Foundation explained why they allege the other is attempting to manipulate history to further their respective political narratives at the expense of science itself. This is a long, informative article that gives both organizations a good deal of space to defend themselves and define their opponent. Past PaleoJudaica posts involving Emek Shaveh are here and links. Past posts on Elad are here and here and links. Not surprisingly, the two organizations often intersect in these posts. DIGITAL, THAT IS: Exhibition on ‘Birmingham Quran’ opens (The Gulf Today). BU DHABI: A digital exhibition of the manuscript of the ‘Birmingham Quran’, one of the oldest surviving parts of the Quran in the world, was inaugurated last night at the Umm Al Emarat Park in Abu Dhabi. The manuscript includes parts of Surahs 18-20 of the Quran, written in ink on parchment using an early Arabic Hijazi script. Part of the University’s Mingana collection of manuscripts, it is believed to date to the 7th Century AD. The exhibition is being staged by the British Council in collaboration with the University of Birmingham as part of the UAE/UK Year of Creative Collaboration 2017 and was opened by the Minister of Culture and Knowledge Development, Noura Al Kaabi, and the British Ambassador, Philip Parham. The manuscript is on display "in digital form" and a replica is also present. Presumably the original is still in the Mingana Collection in Birmingham. For past posts on the very old and very important Birmingham Qur'an fragments, start here and follow the links. WELL, THAT'S AWKWARD: ISRAEL PULLS OUT OF DEAD SEA SCROLLS EXHIBIT IN GERMANY. Frankfurt museum couldn’t guarantee scrolls’ return if claimed by Palestinians or Jordanians (BENJAMIN WEINTHAL, JTA/Jerusalem Post). The deputy mayor of Frankfurt is not pleased with the German government. Some past PaleoJudaica posts that bear on this subject are here and links.